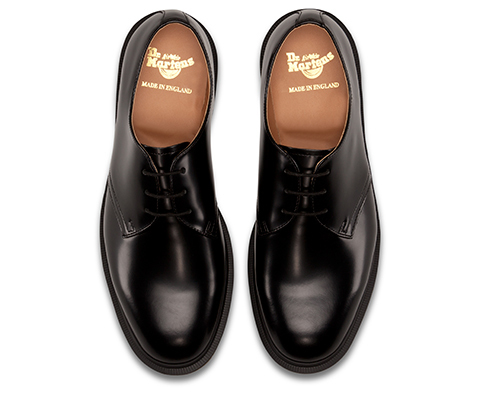 The limited M.I.E collection (Made In England) are handcrafted in the original factory in Northamptonshire by cobblers using the original construction techniques. 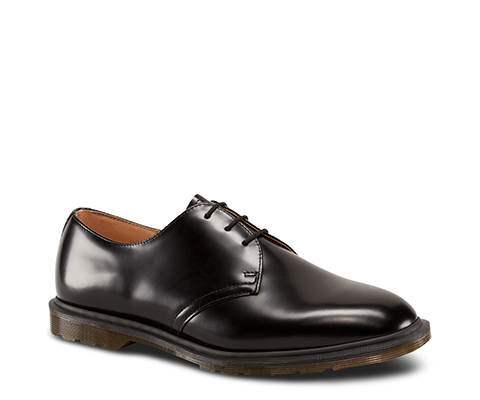 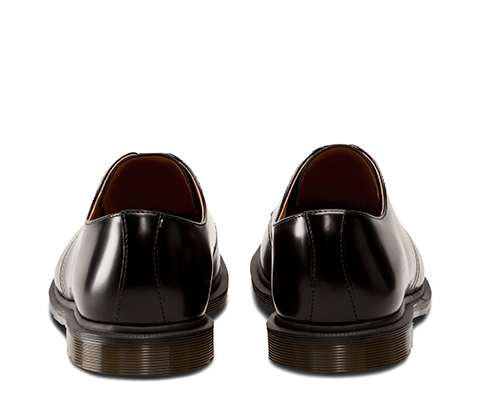 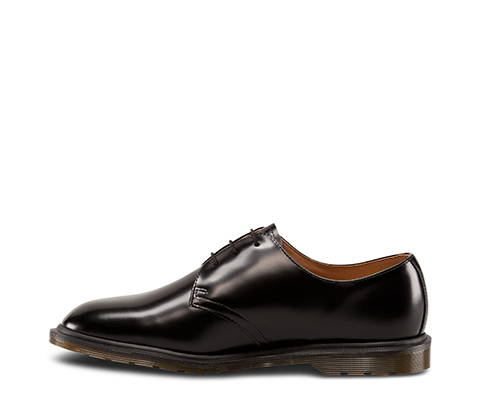 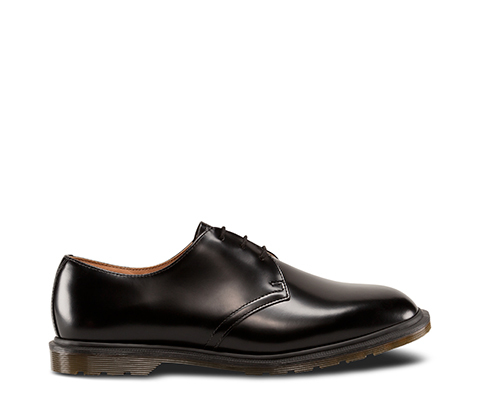 Archie is a 3-eye shoe Oxblood Polished Smooth, premium classic Dr. Martens leather: durable, with a smooth finish Leather lining Refined shape Low profile Dr. Martens air-cushioned sole This is a Goodyear-welted product. 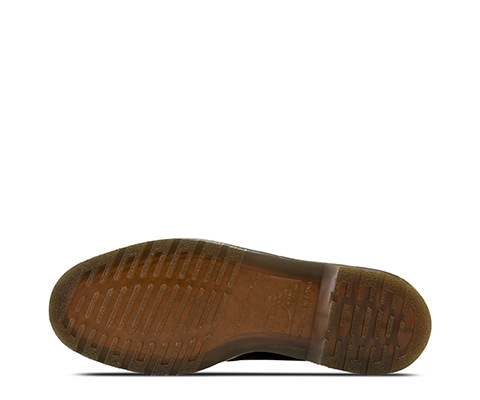 The upper and sole are sewn together Care Instruction:Clean away any dirt using a damp cloth, allow to dry and apply correct coloured wax based shoe polish to restore shine. 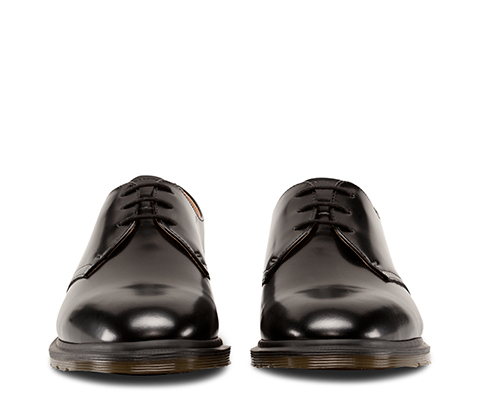 The original Dr. Martens leather: super-durable, with a smooth finish polished to a high shine.